Primula bullesiana is a lovely hybrid between Primula bulleyana and Primula beesiana. A semi- evergreen perennial with ovate to lance shaped, dark green leaves. 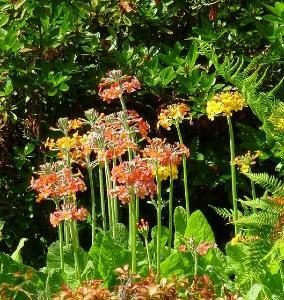 Tall stems produce flowers of varying pastels during the summer. 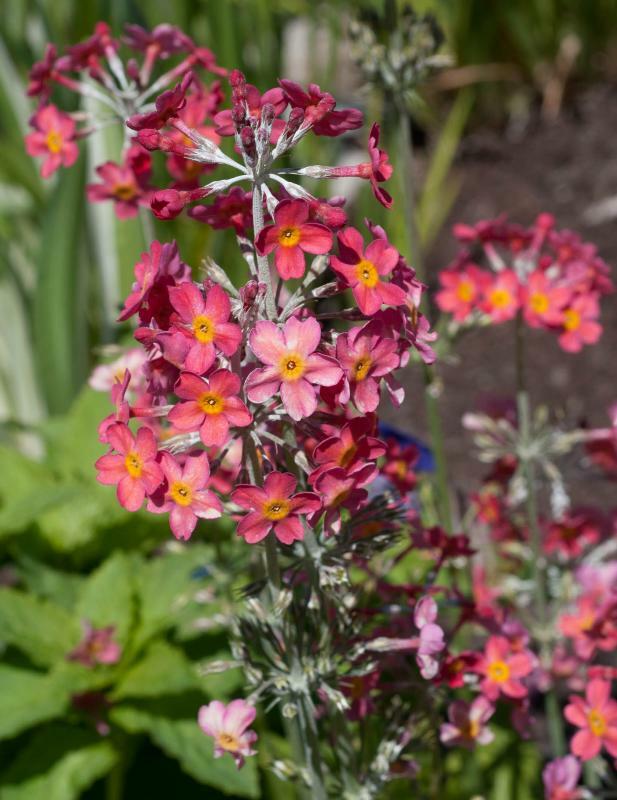 Prefers moist, acidic soil but will tolerate full sun so long as the soil remains moist. Hardy. Height 0.6 m, spread 0.3 m.